Done in a life-drawing workshop, pastel on black paper. I liked the mix of vibrant tropical colours and calm, meditative expression. I wasn’t happy with the portrait itself, as it doesn’t look as much like her as most of my portraits look like their sitters. 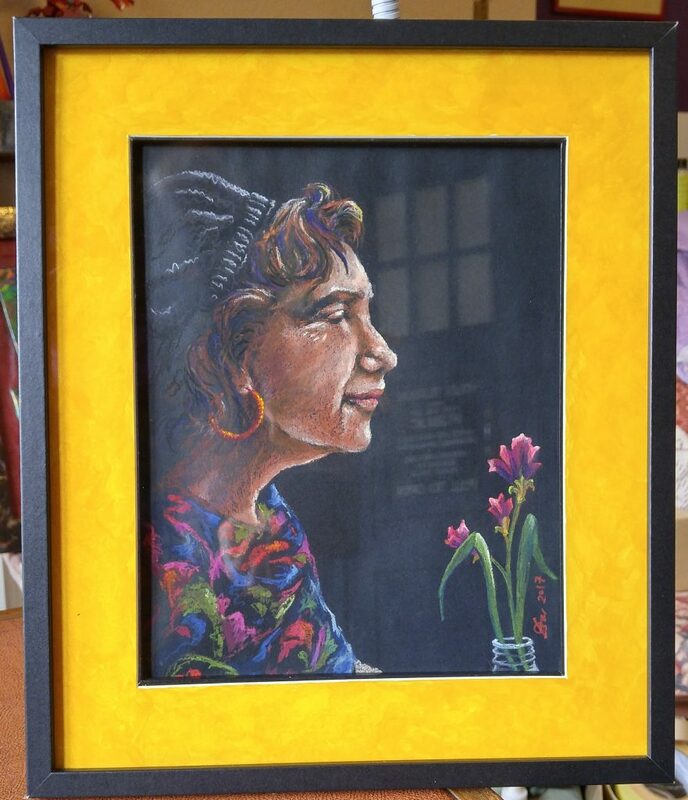 But people liked the mood it created, so I added a few flowers in a milk bottle vase, partly to adjust the balance of the composition, and partly to show the person is much prettier than them.